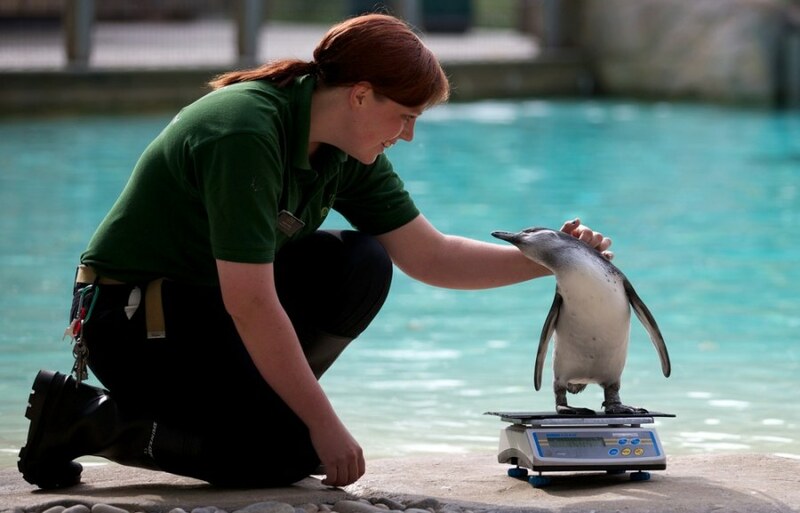 A zookeeper strokes a penguin on a scale during the annual weigh-in at London Zoo on Aug. 22. 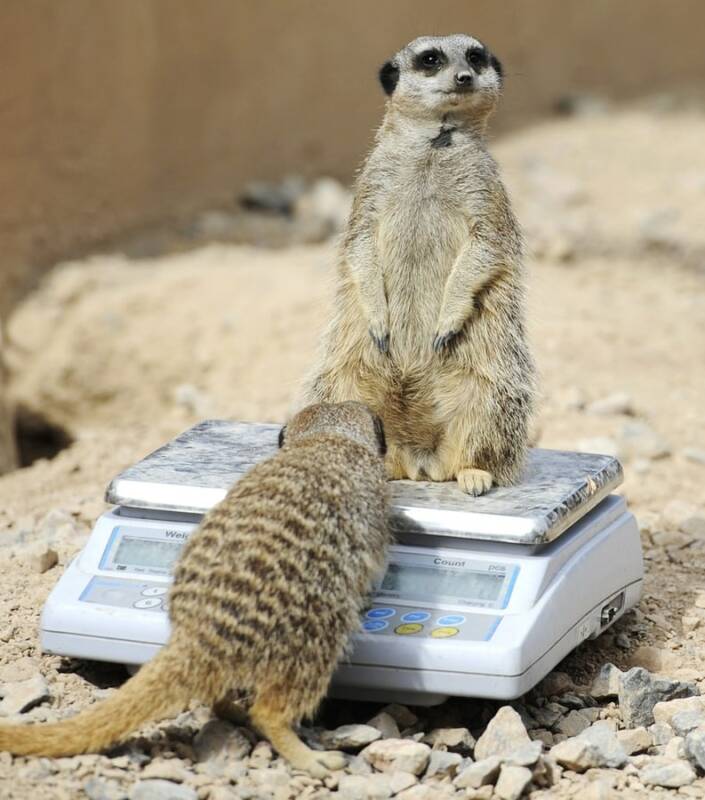 A meerkat climbs a scale on which another animal is already been weighed during the zoo's annual weigh-in at ZSL London Zoo, Aug. 22. 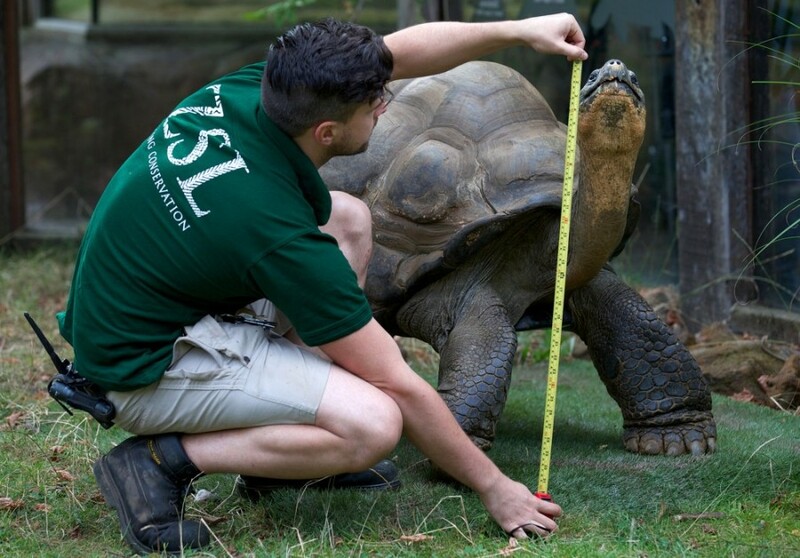 A zookeeper measures Dirk the giant tortoise during the annual weigh-in at London Zoo on Aug. 22. 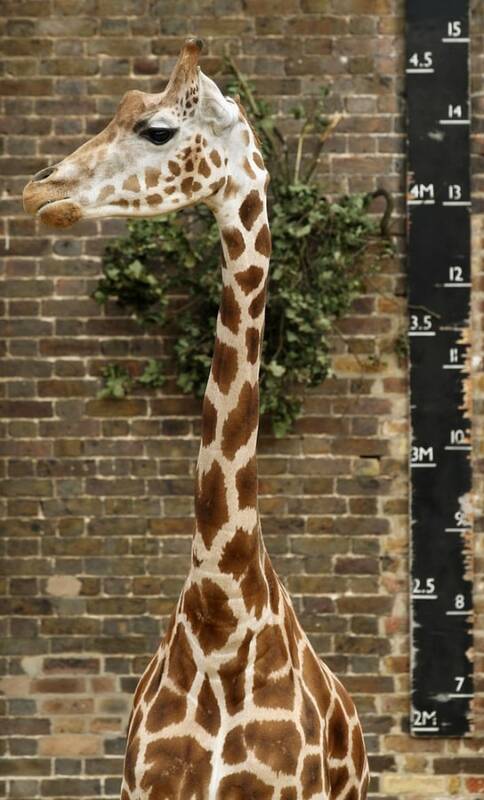 Giraffes are weighed and measured during the ZSL London Zoo 's annual weigh-in on Aug. 22. 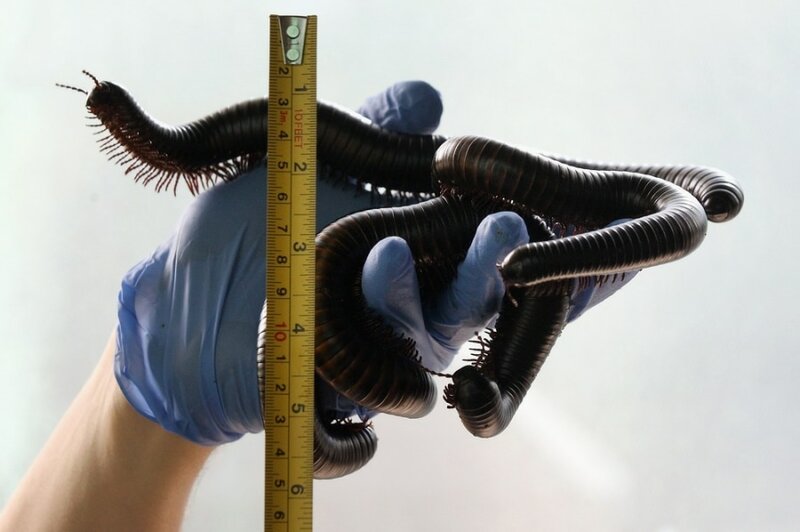 Zookeeper Don McFarlane weighs and measures an African Millipede during the zoo's annual weigh-in on Aug. 22. ZSL’s Zoological Director, David Field says: “We need to know the vital statistics of every animal at the Zoo – however big or small." Zookeepers at the London Zoo are responsible for more than 16,000 animals, spending countless hours recording the weight and measurements of each and every animal, including penguins, meerkats, lions and owls. The measurements are collated in the Zoological Information Management System, from which zoologists can use the data to compare information on thousands of endangered species. “This information helps us to monitor their health, their diets and their general well-being. By sharing it with other zoos and conservationists, we can use this knowledge to protect wild animals, and use it to assess their health, their behaviours and even their ages,” said Field. Giraffes await to go out at the London Zoo, Aug. 22.